Change is the one thing that is a constant in any IT infrastructure today. 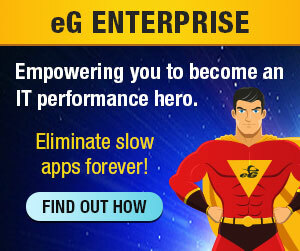 One of the fastest changing areas in the enterprise is the desktop. Changes happen due to two main reasons. Firstly, IT organizations are seeking ways to respond better to the needs of their business lines. They are piloting and deploying new technologies to make IT operations more agile and cost effective. Desktop virtualization and application virtualization are two of the key technologies being used in this endeavor. Secondly, change is thrust on organizations by the advent of new technologies, or rather the end of life of older technologies. The migration from Windows XP to Windows 7 or 8 has been a huge change that IT organizations have had to address. Another important change, albeit on a lower scale, was the move from Citrix XenApp 4.5 to Citrix XenApp 6.5. Often, change does not happen in one area alone. The move from Windows XP to Windows 7/8 may sound simplistic, but there are many things to be considered (higher hardware requirements, support for legacy applications, etc.). 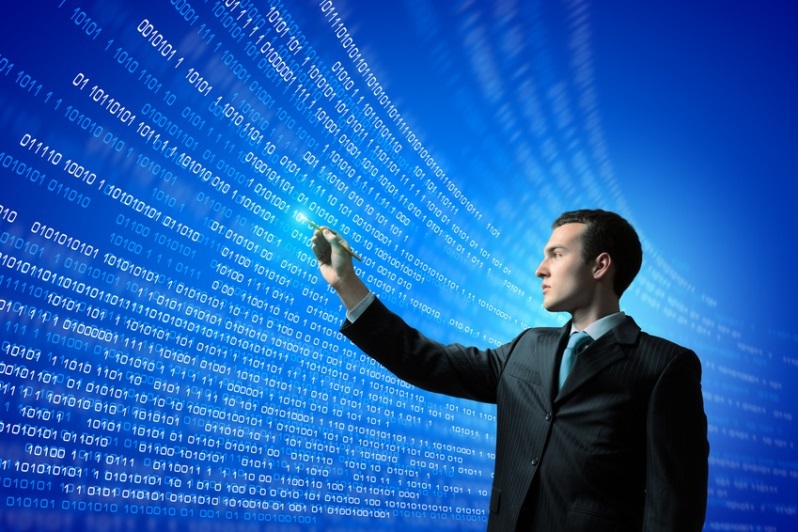 Some organizations are even looking to virtualize the desktops as part of this migration. Likewise, when moving from Citrix XenApp 4.5 to Citrix XenApp 6.5, most organizations are upgrading operating systems (e.g., Windows 2003 to Windows 2008/2012). For its various benefits, virtualization is also being adopted for hosting Citrix XenApp instances. Sometimes, the migration can introduce significant operational challenges. For example, with physical desktops, each desktop had dedicated CPU, memory, storage and network resources. On the other hand, virtual desktops share the resources of the physical server on which they are hosted. In this situation, a single malfunctioning virtual desktop application can choke the physical server, slowing down the performance seen by other virtual desktop users. IT organizations have to put in place effective mechanisms to ensure that they detect and resolve such issues at the earliest. While IT organizations have to cope with the magnitude of these changes, from the user perspective, the requirements are simple. They expect the performance of their key applications to be at least the same as it was before the migration. Users also expect the reliability of the service to be at least the same as it was before. If it is not, the migration is blamed for the problem! Often in any migration project, the focus is on the architecture and technology choices – what hypervisor to use, what hardware to use, what storage technology to use, how to size the desktops and Citrix XenApp instances (e.g., a few large instances, or many smaller instances), how many resources are to be allocated for each desktop/application, how will the new technology be delivered, etc. Performance monitoring and management is often an after-thought, and is often considered after users complain about performance after the migration is done. It is important to benchmark the user experience prior to the migration. By comparing the performance after the migration, administrators can determine if performance has indeed changed. Without this baseline, administrators will not be able to even determine if what the users are saying about performance is true — i.e., is performance after migration worse than it was before the migration? It is equally important to have baselines of workload, resource utilization and performance of every tier of the infrastructure. Having these baselines allows IT administrators to answer the question “what has changed?”. Any deviations in workload between the pre-upgrade environment and the post upgrade environment can provide clues as to why performance has changed after migration. For successful migration, it is essential to have baselines of what the performance was before the migration and what the performance is after the migration. Problems will invariably happen after the migration and very often they are not directly related to the key application or operating system being migrated. If frequent problems occur, users will lose confidence in the technology and complain that “the performance degradation is because of the migration”. This is where having end-to-end performance visibility helps. It may not be possible or advisable to just rely on monitoring and management capability provided by the key technology vendors. These tools may not have end-to-end visibility. Furthermore, their capabilities may themselves change from one version to another, making it difficult to get consistent baselines across versions. For example, if you are migrating to Citrix XenApp 7.5 or XenDesktop 7.5 from an earlier version, bear in mind that Citrix EdgeSight, the monitoring tool offered by Citrix has changed significantly in its capabilities (see this excellent article by Rob Beekmans, Missing EdgeSight 5.4 features in XenDesktop 7.5). Hence, prior to the migration, look for monitoring solutions that provide end-to-end performance visibility and can also work consistently across the application versions and operating platforms involved in the migration. With end-to-end performance visibility across every layer, every tier — from the underlying hardware, network and storage, to the virtualization platform and the hosted applications — of the infrastructure, administrators can determine where the real bottleneck lies. Manually analyzing each and every performance metric is a laborious, time consuming exercise. 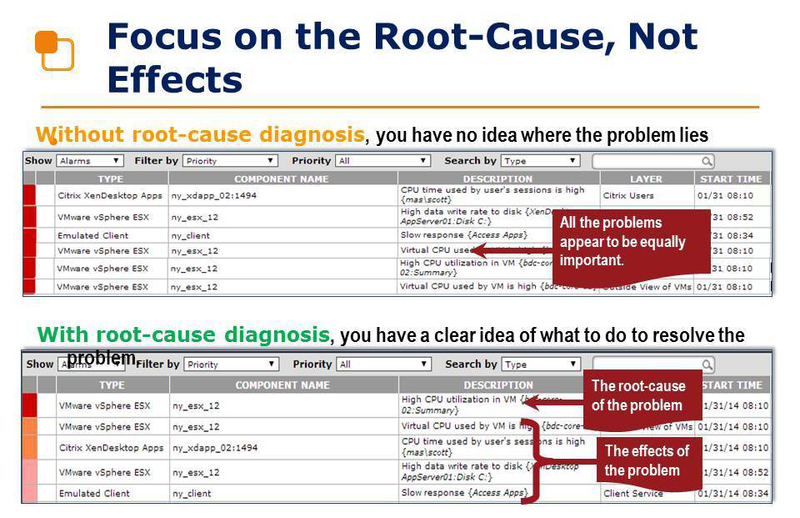 If the end-to-end performance monitoring and diagnosis approach can be automated, user performance issues can be diagnosed and fixed more rapidly and with fewer administrators being involved. In fact, the diagnosis can even be done proactively, before users notice. End-to-end performance visibility along with automated root-cause diagnosis can help you quickly find and resolve problems, thereby ensuring that your migration projects move to successful completion. The success of the migration is not just based on whether users are satisfied with the quality of service, but also based on whether the organization is able to achieve the ROI promised by the migration. To achieve ROI, organizations must right-size their infrastructure. Historical reporting across every tier of the infrastructure is critical for this. With greater visibility into the infrastructure, the operations team can identify areas of optimization (e.g., oversized virtual machines, unbalanced load allocation across servers, etc. ), allowing companies to do more with their existing investments. A focus on performance management helps organizations strike the right balance between cost and performance, allowing them to achieve the promised ROI from their desktop migration projects. The first impression is often the lasting impression. User confidence is impacted by performance degradation after a desktop migration. Even if problems are resolved later, users will complain at the slightest sign of slow performance and this could result in higher operations costs. Also, if you take a reactive approach to performance management, this means that the initial budget for the desktop migration did not have performance management costs built-in. If you have to go back and ask your management for additional capabilities to assist with the migration later on, this will result in longer approval cycles. 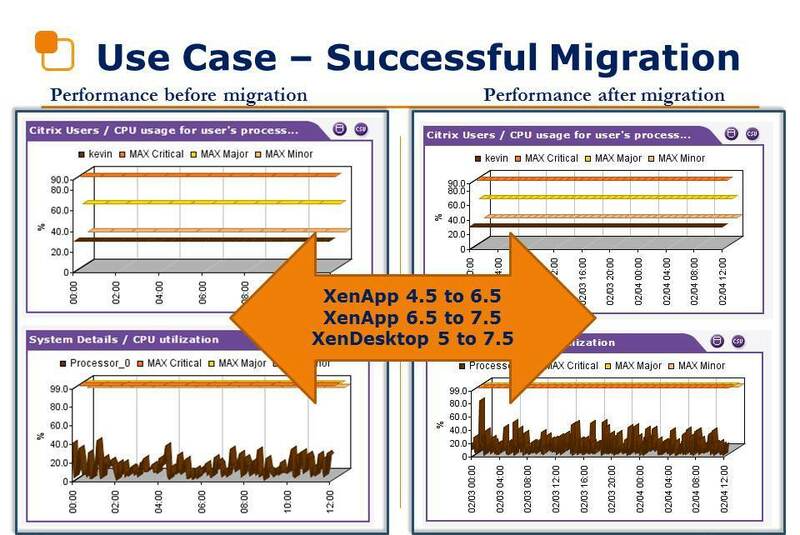 Hence, make sure that performance baselining and diagnosis is an integral part of your considerations for a desktop migration initiative. Srinivas Ramanathan is the founder and CEO of eG Innovations.